← Nine Tile Set …. Love the composition of your tile! Nice earth day tile. Your tile is so much fun! I love what you did for this challenge! Your tile is beautiful and I LOVE your presentation! Very organic and elegant. Beautiful! Super, with those touches of green! 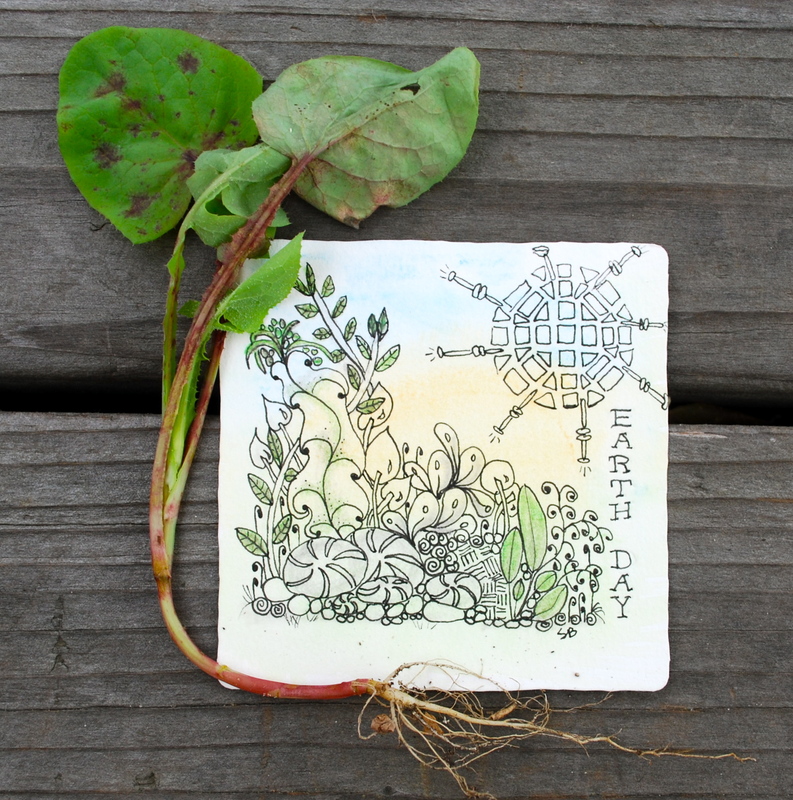 Very nice Earth Day tile with a little earthy garden and the use of the man-o-man tangle. Great idea. I think the one you made for last week qualifies for Earth Day as well. Good work. Great salute to mother Earth. That’s a very nice composition. I love how you colored just a few leaves here and there; beautiful! Great tile. Nice flow. Like your Man-O-Man in the corner. I have not tackled that one yet. Now this one I love! THANK YOU for all the kind comments …. gives me inspiration to keep up my Diva Challenges!